In this new Infobunny article we share with you 8 tips on SEO copywriting that can help you rank better in 2019 and beyond. Are you looking for a way to increase your conversions? Have you ever considered SEO copywriting? This powerful technique can help you rank higher, get more eyes on your copy and inherently sell more through the power of persuasion. If you are new SEO copywriting then take a look at this guide on how to write the perfect SEO copy. SEO copywriting is an art of persuasion, just like regular copywriting is. However, this one has an extra kick – it helps you rank better in search results. So, SEO copywriting means writing so that it appeals to people and search engines. When you write copy with SEO in mind, your job is to include keywords naturally. Readers shouldn’t be able to tell that you optimized for Google and the search engine should be able to rank you high without penalizing you for poor SEO usage. For instance, SEO copywriting is writing a compelling first paragraph while still including a keyword in the first sentence. Blending the two areas may seem simple and easy but it’s more complex than you think. Adding keywords seamlessly while keeping your copy persuasive is difficult and requires a lot of knowledge in both fields. Beginner SEO copywriters could benefit by studying each area separately for a while and then practising creating a perfect mix of each of these areas. However, there are some basic things every new SEO copywriter should know before they start writing. If you want your copy to be effective, you need to understand your customers first. And the best way to do that is to create a buyer persona. Do deep research into who your customer is – or who your ideal customer is. Then you should gather all of that information – age, gender, habits, behaviour, likes, dislikes and all of the little things you can discover about your customer – and create a fictitious profile. When you write copy, from then on, you address that single person. This person represents your audience and who they are as a whole. This helps you figure out their pain points and what their objections to your pitch would be. One of the easier ways to do this is to figure out what your customers need and wants is to look at what they say on dedicated forums. These are the places where people are sharing their thoughts and pain points, looking for a solution. When you look at their posts there, you should look at the keywords they have used – these are their pain points with solutions they found and their requirements when it comes to the service or product. Then you can create copy that includes those exact keywords – this is what they would be using to conduct research – and respond to their requirements and pain points at the same time. This is how you start speaking in your audience’s voice. Everyone is aware of just how important headlines are. This is the first thing that your readers would see when you come up in the search results. If you were the only one there, this would be simple. However, there are thousands of links and headlines distracting the customer. Each headline is fighting for attention. The wrong thing to do here is to go quirky and clever. This used to be a trend in attracting attention but it doesn’t do the job. The key is to be relevant – both to the audience and the topic at hand. There are, of course, some tricks that work better than the others, and you could use them to make your headline more compelling. Try to insert a number in your headline. This is a popular trick and a pretty well-known one too. It works because the number either gives the reader some structure and insight what’s in the text (7 tips, 5 Tricks…) or becomes the proof of quality or effectiveness (Business earned $1 million, I earned $5000 this month just by… ). Headlines which have 12 to 18 words work the best and receive the highest engagement. Certain types of posts receive more engagement than others – how to articles, lists, complete guides and so on. 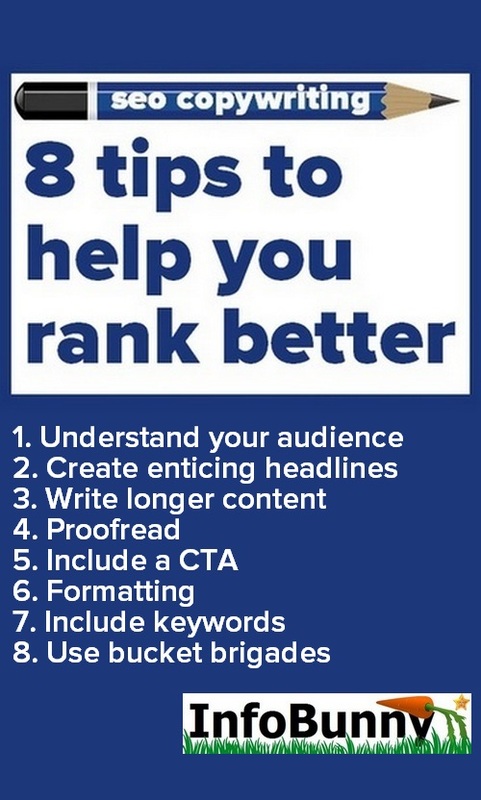 While there is no tangible connection between writing long content and getting better ranking or more visitors – or even selling more – longer content has more advantages than short content. For one, it’s great for SEO. People spend more time on your page. Longer content usually has more useful information, so it gets shared more and gets more backlinks which is how Google evaluates the quality of your content. It has been found in numerous studies that the best-ranking pages are usually between 1500-2000 words long. While copy is slightly different than content and there are not many chances to insert backlinks to authority sites, you can still rely on longer copy being more efficient. You have more time to handle all of the pain points, present results and benefits and persuade them with detailed storytelling. Good copy is always accurate. You have to proofread and edit relentlessly to get everything in order. Of course, accuracy is not getting you more conversions, but if the copy is full of mistakes, you’ll be losing money. So, make sure that the copy you create has no typos, no grammar mistakes and that the syntax makes sense. – Mywritingway and Via writing are online writing guides which offer tips on various grammar rules and which you can break for the sake of good copy and dynamic. – Boomessays is an online editing tool mentioned by Bestaustralianwriters in their blog. It can help you edit all of the fluff out. – Academ advisor is a grammar checker which can check your copy for grammar mistakes. – Essayroo and Paperfellows are content formatting tools that can help you create plenty of white space and draw attention to the right parts. – Revieweal and Academized which you can use to generate catchy titles, subheadings and research keywords. CTA, or call-to-action, is a necessity in every piece of copy. You can usually find it at the end of the copy and it entices readers to take action. This could start with a question and end with an invite to take action. For instance, “click the link, buy, read more, see the pricing, send an email, comment, take a survey, share” and so on are all calls to action. You can’t have great copy without a stellar CTA. Let’s say you wrote the perfect piece of copy – it responds to all of the pain points and lists all the benefits. The reader is satisfied and wants to do something. What was the point of your copy? Without a CTA, they don’t know. And don’t fool yourself into thinking that they will search for an answer for themselves – share or buy, without you asking them to. Your customer will move on because they didn’t want to do the hard work. It’s your job to make it simple and easy for them. Formatting is the key to having your piece read. It involves many different actions, all in favour of making your content more appealing visually. People don’t want to read a block of text. They need structure, dynamic and white space to rest their eyes. Imagine landing on a page where there is no formatting at all – there are no bullet points, no subheadings, no paragraphs. Reading that would be a nightmare. You wouldn’t be able to stay focused, especially since the whole thing is on a screen. What are you going to do, track the lines with your cursor or thumb? No, you would probably leave the page and look for a more readable solution. That’s how your audience feels. And this is true no matter the demographic, habits or behaviour. Create paragraphs. Short paragraphs – two to three lines at most. Create subheadings. This gives your text some structure and it’s easier to read through or scan through. Use bullet points. This is another way to create structure and also a great way to separate a complex topic into something more comprehensible. Bold the most important points. This could be a sentence, a word or a number. This signals to the reader what’s important and helps them remember these parts better. Use a readable font. While the title of your copy could possibly be in cursive or styled font, your text body needs to be written in a simple serif or sans serif. The font should be 14pt to 16pt ideally. This is not so much your decision because the design is probably out of your hands but a simple black on white (or dark letters on a light background) is the best way to go. The space around your copy needs to be clean and distraction free. The design should also not intrude with bright colours or complex backgrounds. The keywords are the prime factor in the SEO. This means that your copy needs to have them. But, as mentioned, you need to insert them seamlessly, without your reader noticing. Before you start writing your copy, you should focus on doing good keyword research. You can do so on Google Analytics or other popular sites. When you find keywords that you are going to use, then you should know where you need to put them in order to make them effective. Headings – Putting a keyword in your heading is a good way to tell Google what your text is about. The best practice is to place the keyword as close to the beginning of the title as you can. Subheadings – Not every subheading needs to have a keyword but one or two should. First 100 words of your text – Again, the closer to the beginning, the better. Sprinkle them throughout the text – Yoast usually advises up to 4% of your text should be the keywords. The keywords are essential in making your text findable. Place your keywords strategically in order to get the most out of them. Google highly values H1 and H2 tags which makes it very important to include keywords as well. You should also include plenty of keywords in your text. This will ensure that your content can rank high in search engines,” says Sabrina Helsing, a social media manager at Stateofwriting. Bucket brigades are an advanced technique that copywriters use to draw the attention of their users. It’s fun to read and it usually does the job. Here is how you do it – you create a short sentence that forces the reader to read the second one to get more context. You are about to learn something extraordinary. Bucket brigades are an amazing way to make people smile while drawing them in and inviting them to find out more. You can definitely use them in many places. Such a simple tool, so commonly used yet so many people forget about them when the time comes to write great copy. Remember this and use it whenever you can,” says Donald Berstein, a marketing manager at Eliteassignmenthelp and Study demic. Creating the perfect SEO copy takes time and research as well as a lot of knowledge in SEO and copywriting. However, once you get the hang of it, you’ll realize just how simple it can be. Make sure that you do always proofread before you publish. Does your article read well? Are there any words or phrases that jump out as not required? Make sure that you follow the proofread tip and all of the other rules and tips for perfect SEO copy. So do you write for both your audience and the search engines? If you tend to focus just on your audience then perhaps you should rethink your strategy and adopt a more SEO copywriting approach. Do have any SEO Copywriting tips for us in 2019 we should add to this post? Leave us a comment below and let us know, make sure that you subscribe to the comments so you are notified when we reply. In this new Infobunny article we share with you 8 tips on SEO copywriting that can help you rank better in 2019 and beyond. So let's get started! I would add interlinking your old posts in with your new. And of course linking out to others is always a great way to connect with people. I love seeing white space while I’m reading and great graphics. They help me scan and make me feel better at other’s “homes”. Thanks for your tips here! I hope you and Dexter have a great weekend ahead! Awesome post. The bottom line is, you have to write long and comprehensive content which inspire a lot of engagement. Backlinks is a secondary factor when it comes to quality content. People will come and link with you. Nowadays! Social media plays an important role to reach out organic users because SMO became a essential part of SEO. Great tips Freddie. I personally prefer writing longer content with good keyword density and attractive headlines. Ofcourse the keywords target the audience that are very much interested in a specific service. However, the CTA button is extremely important while running advertisement campaigns to capture the info for leads. Your tips are worth considering. Good job. This is indeed an important tip if you want to rank higher and better. Thank you so much for sharing this, very helpful! SEO is really dominant in the market nowadays because of the wide use and availability of technology. Those tips of yours are indeed helpful. Thank you so much for sharing! What an incredible work! Not only it was informative but also nicely written. To the point. Would like to read more from this space. Great work was done by you. Not only it was informative but also nicely written. To the point. Would like to read more from this space. great tips on writing with SEO in mind. I was familiar with most but it’s a good refresher nonetheless. Very brief, very concise; just a couple of sentences with an image on the right. Nikola Roza recently posted…Jaaxy Keyword Tool Review and Analysis (2019)- Don’t Buy Before You Read! This is great. I’ve been having all sorts of problems with my site running slow and had no idea where to turn. I’ll be installing these plugins today. Hopefully they will resolve my issues. These two plugins are amazing working fine by so far. 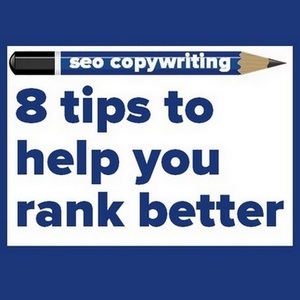 8 Tips On SEO Copywriting That Can Help You Rank Better – Thank You for sharing this article.